After the success of the Paul Weller range of Fred Perry gear, it’s no surprise to see the company pushing more music tie-ins. And the latest one has just been announced – the Dead 60s limited edition Fred Perry Harrington jacket. Like the Weller polo shirt, this is very limited edition and once more requires pre-registration to get one. There are 500 in total over the two styles – a red stuart tartan or monochrome Cornish tartan, the design apparently being the idea of the band, who wanted a jacket with the traditional inside being on the outside. As well as the Fred Perry laurel, each jacket will be individually numbered and come with a dead 60s neck label. There’s also an elasticated black cuff and waist. 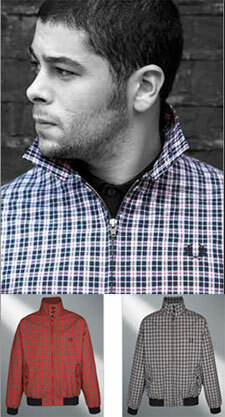 The jacket will be available for £115, which means it is priced favourably against other leading Harrington jackets. If you want one, follow the link below – and if you’re one of the lucky ones, you’ll be invted to buy one from October.